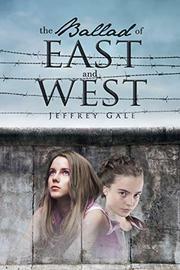 In Gale’s debut novel, an American-British rabbi works to support refuseniks in the 1980s. Even in its later decades, the Soviet Union was an extremely oppressive place for Jews to live. They were subjected to constant casual prejudice and systemic discrimination in employment and education and were forbidden to learn Hebrew or engage in any religious practices. Still, many engaged in those practices clandestinely and requested exit visas so they could immigrate to Israel or the West. Some families were permitted to leave, but most were refused. These refuseniks, as they came to be known, were not only denied the freedom to leave the country, but were often fired from their jobs, violently harassed, and even imprisoned. As Jewish communities in North America and Western Europe became conscious of the plight of their coreligionists, they began organizing to support them. Gale’s novel is essentially a vehicle to relate this specific history. In the early 1980s, Gale’s protagonist, Rabbi Levin—like Gale, an American-born Reform rabbi—is the leader of a congregation in the East End of London. Many members of the synagogue and broader community are active in working to support the refuseniks. Strategies range from “twinning” British Hebrew School students with Soviet peers so that the latter could be bar- or bat mitzvahed in absentia to writing letters to actually visiting the USSR to show support and deliver Jewish texts and ritual objects. Despite his hesitations, Levin feels called to join a mission to the Soviet Union—an experience which brings him and his congregants closer to their Soviet counterparts. The parts of the book about Levin’s own life are monotonous; readers do not need to know so much about the logistics of the character’s High Holiday services, for example. There is also little distinction between Levin’s personal dialogue and his sermons. On the other hand, the sections drawn from the real-life experiences of the refuseniks are nuanced, historically accurate, and often fascinating. Through Levin’s observations, readers will gain insight into the realities of religious persecution and the complexities of providing aid. A sometimes-engaging polemical story rooted in the realities of authoritarianism and activism.